In a shocking display of wastefulness, today’s top story reveals how high end fashion is burned to protect the brand at Burberry and others. And they have the gall to say it’s environmental friendly because they capture the energy from the burning. In other news, a slowing of the gulf stream looks set to warm, rather than cool, in another climate feedback loop; rat eradication on a Pacific atoll sees a 5,000% increase in plant seedlings; a former coal and steel town in Australia is booming with renewables jobs; a great waste philosophy from “Matua X-Man”; citizen scientists can get on board with waste identification in Australia; and two articles on the art of effective communication. Burberry, the upmarket British fashion label, destroyed unsold clothes, accessories and perfume worth £28.6 million ($NZ55.2 million) last year to protect its brand. It takes the total value of goods it has destroyed over the past five years to more than £90m. Fashion firms including Burberry destroy unwanted items to prevent them being stolen or sold cheaply. Burberry said that the energy generated from burning its products was captured, making it environmentally friendly. The prospect of the Gulf Stream slowing down and even stopping altogether has worried many experts in recent years. Some believed that this would cause a rapid cooling around the world with resulting global chaos. But a new study finds the Gulf Stream go-slow will have a significant impact on planetary temperatures, but not in a chilled out way. The breakup of just two Antarctic ice sheets could push global sea levels up by 26mm, scientists have warned. The Larsen C and George VI ice shelves are considered to have the highest risk of collapse of those the Antarctic Peninsula, where average temperatures have climbed by 0.5C each decade in the last five, and where billions of tonnes of ice mass loss have been recorded. Because they hold back inland glaciers, the ice carried by these glaciers can flow faster into the sea when the ice shelves collapse, which contributes to sea-level rise. Every month, climate scientists make new discoveries that advance our understanding of climate change’s causes and impacts. The research gives a clearer picture of the threats we already face, and explores what’s to come if we don’t reduce emissions at a quicker pace. This edition explores studies published in June 2018. AUSTRALIA – The New South Wales Government has renewed part of the coal exploration licence for the controversial Shenhua Watermark project on the Liverpool Plains in the north-west of the state. The announcement came with a promise not to release other parts of the Liverpool Plains for exploration. UK – The largest solar power plant ever proposed in the UK will be reviewed by the secretary of state within the next six months. Cleve Hill solar farm will occupy the north coast of Kent and, if built, provide up to 350MW (megawatts) of generating capacity. The plan is for Cleve Hill to generate the lowest cost electricity on the UK network without needing subsidies to stay afloat. There have been subsidy-free solar installations before but nothing like Cleve Hill’s 1,000-acre development. In a multi-year study, scientists found that tree seedlings were more than 5,000 percent more abundant after rats were eradicated from Palmyra Atoll, a group of 25 small islands in the Pacific Ocean. Invasive rats, brought by ships over the past few centuries, eat tree seedlings and vegetation, in addition to driving down seabird numbers. Managers eradicated the islands’ rats in 2011, and within a month, seedling densities had increased. 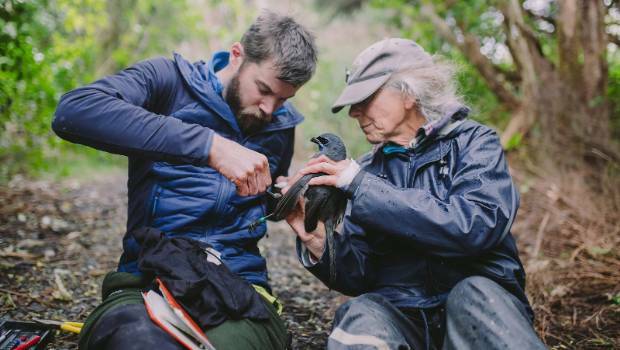 NEW ZEALAND – Pirongia’s kōkako population continues to grow as 14 more of the precious birds are released at Mount Pirongia in the Waikato. Pirongia Te Aroaro o Kahu Restoration Society reported another successful translocation from Tiritiri Matangi Island in the Hauraki Gulf recently. Kokako ecologist Dave Bryden and kokako team leader Morag Fordham, completing health checks for a kokako they have just caught. Move over Whale-ington – Auckland has its own exciting news in the big ocean mammal department. Marine biologists and whale-watchers alike are abuzz at a rare sighting of multiple blue whales – including a calf – in the Hauraki Gulf over recent days. 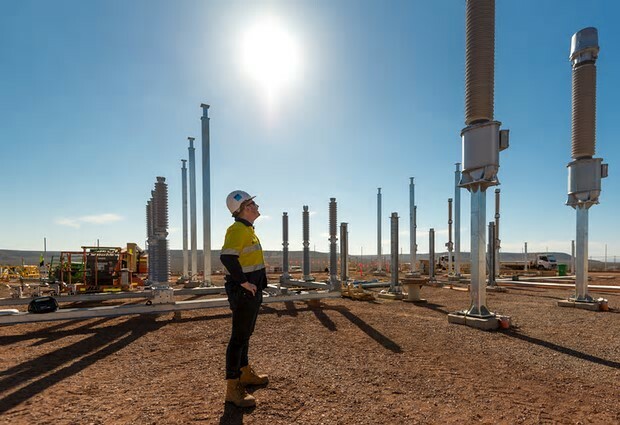 AUSTRALIA – The Integrated System Plan, unveiled this week by the Australian Energy Market Operator (AEMO), has been billed as a cohesive energy plan for Australia. In reality, it falls seriously short. Australia needs to accelerate its energy transition and give businesses and investors the support they need to seize economic opportunities from clean energy. In seeking to prolong coal-fired power for as long as feasible in the name of cheap energy, AEMO’s supposedly comprehensive plan overlooks two crucial facts: first, there is serious money to be made from clean energy; and second, coal is not as cheap as it sounds when we factor in the indirect social costs. AUSTRALIA – In mid 2016, this region was on the brink, hit by the closure and near collapse of coal and steel plants. Now it’s on the cusp of a wave of construction that investors and community leaders say should place the region at the vanguard of green innovation – not just in Australia but globally. There has been an explosion in investment, with $5bn spread over the next five years. There are 13 projects in various stages of development, with more than 3,000 construction and 200 ongoing jobs. Electric car chargers are set to become a more common sight on UK highways and motorways in near future, after the Automated and Electric Vehicles Act became law earlier today. The Act gives government the power to force petrol stations and motorway services to install electric vehicle (EV) chargers to ensure charging availability keeps up with market demand. It will also require operators to ensure charge points are compatible with all EVs and standardise payment systems for charging. UK supermarket Asda has joined a consortium aimed at understanding how microfibre shedding occurs, in order to implement projects aimed at reducing how much volume seeps into the ocean. Asda has joined brands and retailers including Marks & Spencer, Ikea, ASOS and The North Face as a member of the European Outdoor Group’s Microfibre Consortium. Companies involved in the initiative will discuss research opportunities and projects aimed at reducing how much clothing microfibre seeps into the environment. UK – Almost a third of plastic packaging used by UK supermarkets is either non-recyclable through standard collection schemes or difficult to recycle, according to a new analysis by a consumer group. Which? is urging the government to introduce compulsory “clear and simple” recycling labelling on all plastic packaging as its new research reveals “huge inconsistencies” involving myriad different schemes and with some items not labelled at all. UK – A record number of people are dying of asthma, and experts have warned growing air pollution and a lack of basic care could be to blame. In England and Wales 1,320 people died of asthma last year, a sharp rise of more than 25% over a decade, according to data from the Office for National Statistics. 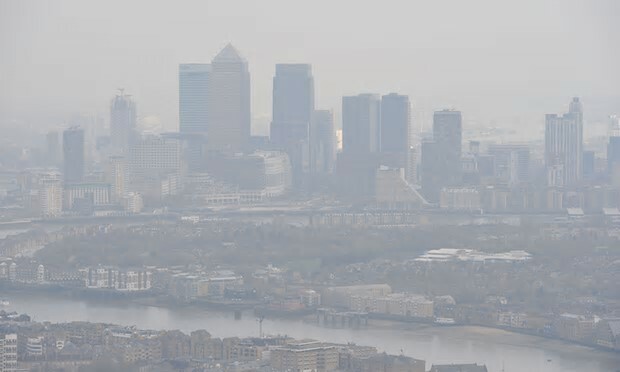 The findings come amid growing concern about the air pollution crisis in the UK and mounting evidence of its impact on people’s health – particularly children and the elderly. AUSTRALIA – Environmental groups have been armed with a new tool to help reduce plastic and other rubbish washing up on Australian beaches and waterways. The Australian Marine Debris Initiative app, launched by environmental group Tangaroa Blue Foundation, allows rubbish found during clean-ups to be collated in one database. While the foundation has been collating data on beach clean-ups across Australia since it began in the south-west of Western Australia in 2004, managing director Heidi Taylor said the new app allows anyone across Australia to contribute. While the overwhelming majority of Britons want to minimise their impact on the environment, there remains significant divisions over who should be primarily responsible for creating a greener, lower carbon world, according to the findings of a survey by Legal & General Investment Management. Someone (possibly George Bernard Shaw) once said: “If you want to tell people the truth, you’d better make them laugh or they’ll kill you”. While comedy can certainly soften a message, can it really change our behaviour? ABC radio will tonight host a live comedy debate ahead of the next series of its popular War on Waste television series. The topic: whether the show actually works in reducing waste. Behavioural science, which examines why people do or don’t do things, can unravel the puzzle. If a scientist makes an important discovery, yet the world never hears about it, was it ever really made? Instances of scientists failing to communicate their discoveries go back centuries. Gregor Mendel, the founder of modern genetics, died with little fanfare in the late 1800s because few knew of his important research. It took more than a decade for his work to be “rediscovered” and catalyze the beginnings of the field of genetics. In today’s world of nonstop information, the risk of research remaining obscure is greater than ever. Be it by flood, drought or hurricane, communities at risk of climate displacement have won vital protection after their plight was for the first time recognised in a global pact on migration, campaigners say. The United Nations agreed last Friday to draw up the migration compact to cope with the millions of migrants moving from country to country. Now campaigners want nations to follow up the new recognition with concrete action. UK – A bill to protect the environment has been announced by the prime minister. It will set out a legal framework for the government’s promise to leave the environment in a better state over the next 25 years. It has been greeted enthusiastically by green groups who feared that the government’s promises on environmental protection had no legal backing. UK – The government will today publish further details on its planned Green Great Britain Week in October, detailing how it hopes to work with businesses and civil society to highlight the opportunities presented by clean growth and raise awareness of how people can support climate action. USA – The Trump administration on Wednesday eased rules for handling toxic coal ash from more than 400 US coal-fired power plants after utilities pushed back against regulations adopted under Barack Obama. The Environmental Protection Agency (EPA) acting administrator, Andrew Wheeler, said the changes would save utilities roughly $30m annually. INDIA – In the final year of its tenure, the Indian government is making a dash to revamp the country’s major environmental laws meant to protect forests, coasts and wildlife, and tackle air pollution. Environmentalists say that the hasty changes seem to have been proposed in quick succession to avoid wider and detailed consultations with all concerned stakeholders. Rising global meat consumption is likely to have a devastating environmental impact, scientists have warned. A new major analysis suggests meat consumption is set to climb steeply as the world population increases along with average individual income, and could play a significant role in increasing carbon emissions and reducing biodiversity. From New Zealand to the United States and Kenya to Colombia, scientists are on a mission to fight global warming by making livestock less gassy. Livestock are responsible for about 14.5 percent of global greenhouse gas emissions, according to the United Nations’ Food and Agriculture Organisation (FAO). According to calculations by some experts, this puts the livestock sector on par with transport. NEW ZEALAND – The decline of one of New Zealanders’ favourite fish has been blamed on “destructive” commercial fishing practices. Lobby group LegaSea on Thursday claimed the decline of tarakihi on the east coast was due to techniques “like trawling and netting in fish nursery areas”. “Here’s another fishery that’s fallen below the soft limit of 20 per cent,” spokesman Richard Baker said. “Ideally fisheries should be managed at 40 per cent plus, that’s a world recognised standard. But here we have one that’s just been left to drift.